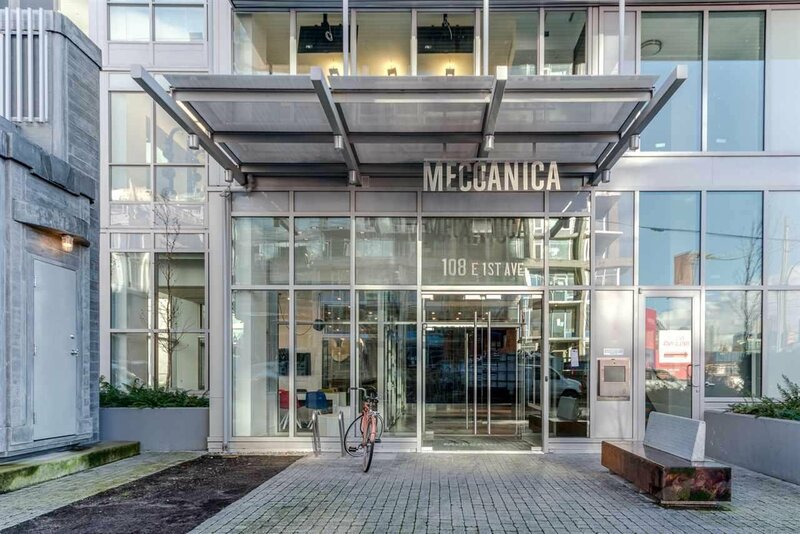 Ultra modern, Air Conditioned 971sq.ft 2 bdrm 2 bath in Meccanica. NW corner unit with floor to ceiling windows & tons of natural light. Signature Cressey kitchen gloss white & grey soft-close cabinetry gives a sleek look opening to living & dining areas via breakfast bar. Integrated full size fridge & dishwasher. Grand Master bedroom w/walk in closet & elegant ensuite, opaque glassed 'barn door' into 2nd bdrm or home office. Bathrooms have wrap around tile, deep soaker tubs & rainshower heads, Grohe fixtures. Features inc polished concrete floors, white quartz counters throughout, extra storage, 2 PARKING, storage, sun drenched balcony, freshly painted. The building has an amazing neighbourly feel.